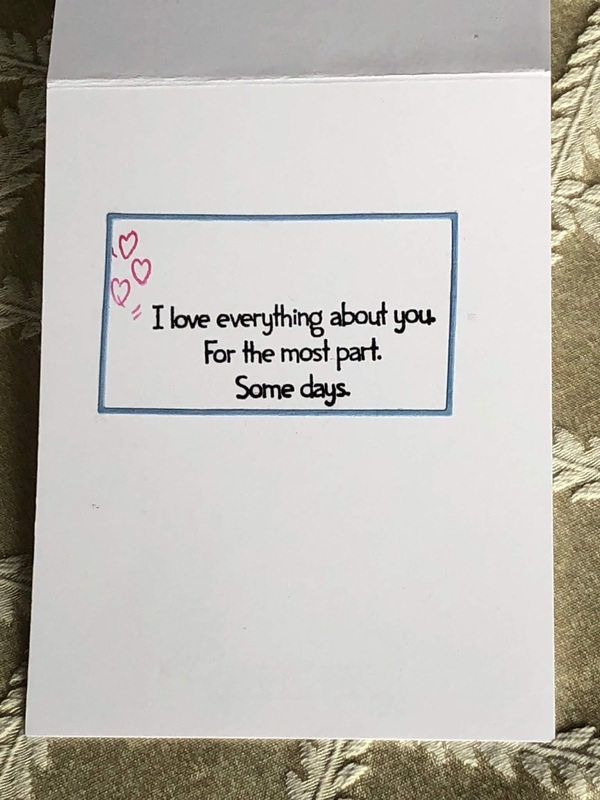 This is my card for my husband. Our children celebrated him last week during their birthday party. But I would like to honor him on Father's Day with this card and a book "Pops: Fatherhood in Pieces" by Michael Chabon recommended by a New York Times best selling author. This card was made with Art Impressions "Love Bird" stamp set, Avery Elle's "Simply Said Happy" for the sentiment and Simon Says Stamp's " Playful Messages" for the inside sentiment. The frames are "Fine Frames" by Altenew. The stamping ink was Versafine Onyx Black. The watercolor is Kuretake Gansai Tambi. Thanks for looking and leaving any comments!! So cute. What a sweet image that is. Hahaha, I Love the sentiment inside. Thanks for joining us last week for the Simon Says Stamp Wednesday challenge.